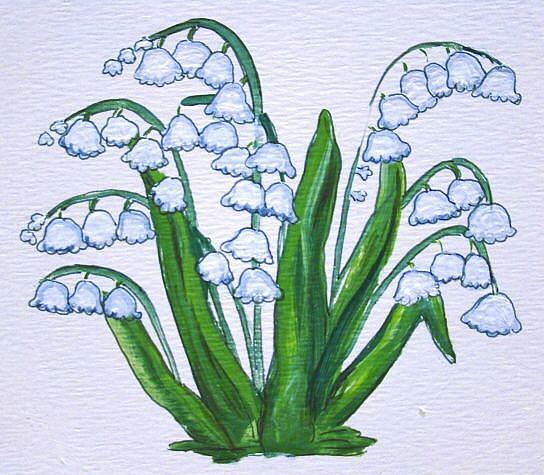 Lily-of-the-Valley is a beautiful flower that blooms in the springtime. They have charming, delicate white bells and very dramatic wide, green leaves. Like the violets, they bloom and disappear very quickly, so you have to be sure to watch for them to enjoy their beauty and fragrance.